Brisbane – Following the same design and service philosophy as its award winning Hong Kong and Singapore Lounges, Qantas will redesign its Brisbane International First and Business Lounges to create a single International Premium Lounge, which will welcome its first customers in October. The lounge design and interiors will take inspiration from the natural beauty of Queensland and offer an increase of more than 25 per cent more space for customers to relax, work and dine. Travellers will enjoy seasonal menus by Qantas Chef Neil Perry, a bar serving Rockpool-designed cocktails and all-day barista coffee by Vittoria will be introduced. 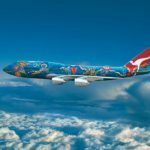 Qantas Head of Customer Product and Service Development Philip Capps said the multi-million dollar investment in the Brisbane Airport experience would deliver a new benchmark in premium travel from Queensland’s capital. “The new Brisbane International Premium Lounge highlights our continued investment in the entire customer journey. The new lounges will offer an outstanding experience in premium design, service, and food and wine,” said Mr Capps. The beginning of construction signals the start of a comprehensive redevelopment of the Brisbane Lounge experience, with the domestic terminal lounges also set for a complete redesign in coming months. 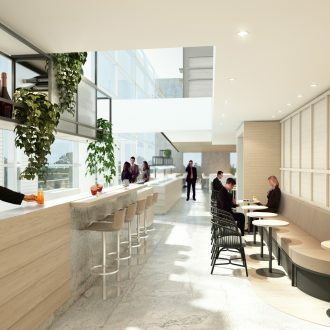 Qantas will build a new lounge precinct with a new Business Lounge and refreshed Qantas Club, including a new Valet experience, with a staggered opening planned from early 2017. 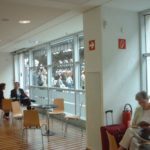 Mr Capps said in designing the new lounge concepts, the airline conducted research in to what customers valued most in their lounge experience and food, wine and coffee were on top of that list. The International First and Business Lounges will be closed from 29 June and the new International Premium Lounge will open in October. During the refurbishment, eligible Qantas customers and their guests will be offered complimentary access to the Plaza Premium Lounge or vouchers to redeem at food outlets in the terminal. 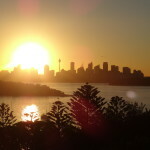 Brisbane is an important hub providing daily connections between Qantas’ major domestic routes and services into regional areas as well as direct international services to Auckland, Wellington, Christchurch, Los Angeles, Singapore, Hong Kong and Tokyo.